I'm loving my iPad comics experience. The portability, quality and the uniqueness is wonderful. Comixology, one of the comic app producers has a new app due out soon just for the kiddos. It was due at the end of April, but I couldn't find it today. You can read about it here. 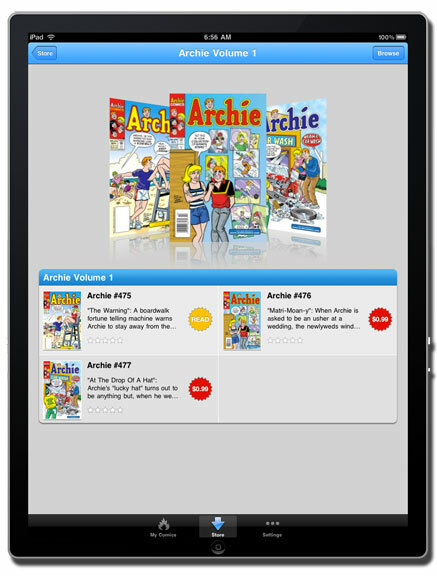 It should be noted that Archie Comics has it's own app already. I'll download this puppy as soon as it hits stores. News tip thanks to the ever-wonderful Tracy Edmunds.